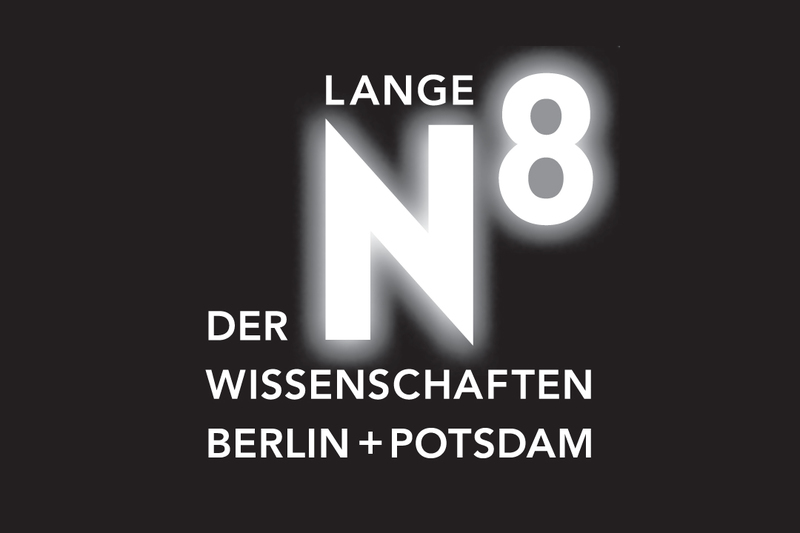 The Lange Nacht der Wissenschaften (Night of the Sciences) in Berlin und Potsdam is »the smartest night of the year«: a hugely popular event and an annual fixture on the calendars of both cities. 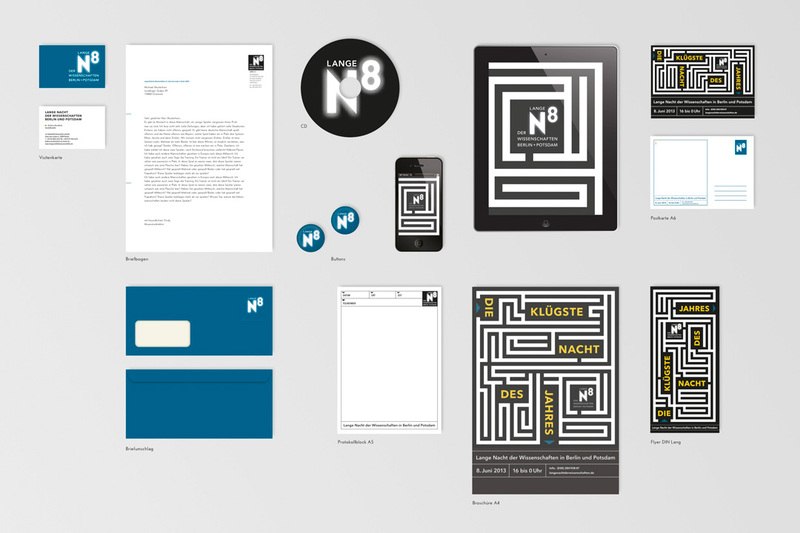 In 2013, we redesigned its visual identity and created an advertising campaign for it. The smartest night – for everyone! 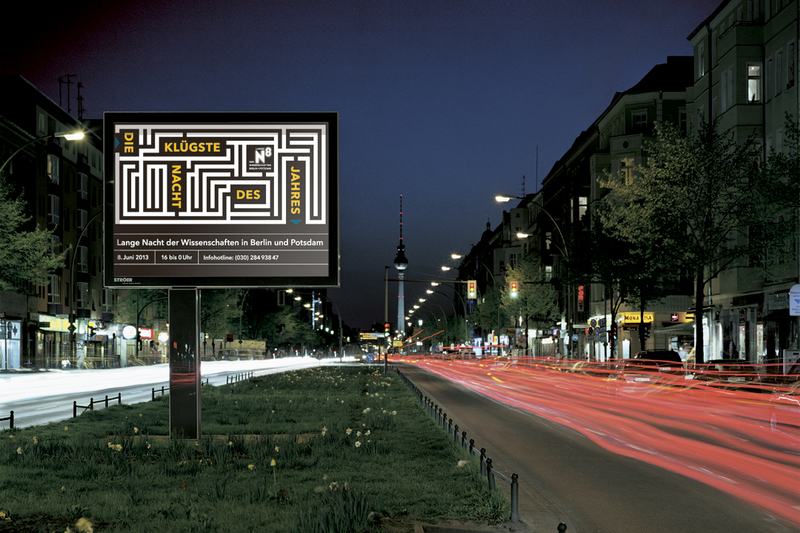 For over 10 years, more than 70 scientific institutions in Berlin and Brandenburg have been coming together for this unique night. Over 30,000 visitors converge on the event each year. Places that are normally closed to the public open their doors so that everyone can experience science as an »overnight sensation«! 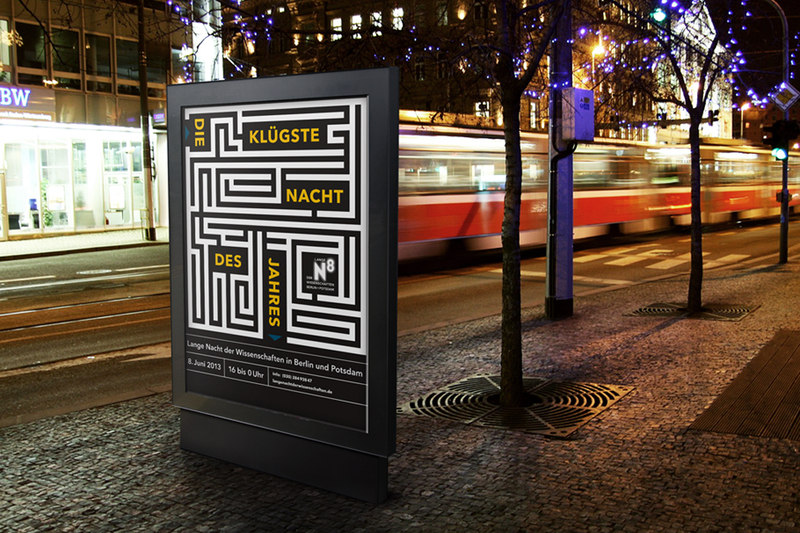 The logo’s central element is a play on the word »Nacht« (night). Taking a playful approach to scientific convention, the superscript 8 both relates to the theme of the event and makes an aesthetic statement of its own. 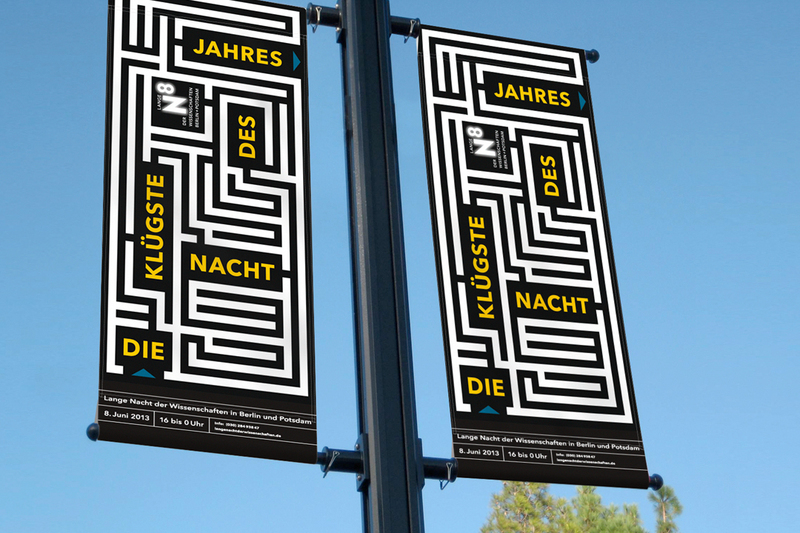 The key visual plays the same game: Both our ads and our corporate design feature a labyrinth surrounding the slogan. Its structure and contrast attract the eye like magic, even at a passing glance. And the gaze that lingers is drawn into the puzzle of following the line. With a wink and a smile, these little brainteasers invited viewers to see if they qualified for the smartest night of the year. Both campaign and identity struck a balance between entertainment and science, reaching out to a diverse public: not just the well-educated and scientifically inclined, but schoolchildren, university students, graduates, artisans – and families too, from the grandparents down to the youngest kids.